How did I live my life without radish sauce? 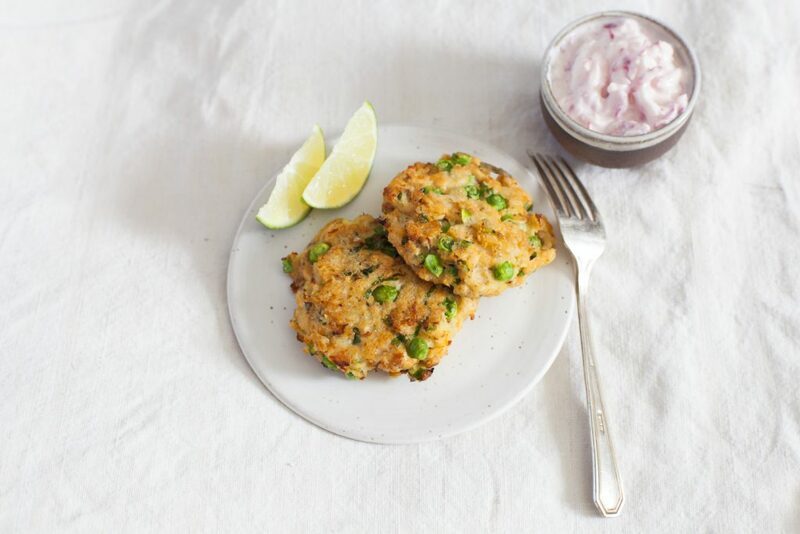 Radish sauce is a delicious and nutritious accompaniment to many recipes, but is especially delicious with these great salmon cakes. These cakes freeze beautifully. Make a double batch and securely wrap the uncooked cakes and freeze. Bake at 425 degrees for 20 minutes or heat them in a lightly oiled frying pan. Using a food processor, pulse shrimp until finely minced. Put the minced shrimp to large bowl and add salmon, eggs, peas, scallion, 1 cup of the bread crumbs, mayonnaise, tarragon, and salt& pepper. Stir well. Divide into 12 portions, shape into cakes and coat with reserved breadcrumbs. Heat large skillet over medium high, then add 1 TBSP oil. Reduce heat to medium, brown patties cooking about 4 minutes per side or until golden brown. Don’t crowd the pan. Keep patties warm in 250 degrees oven and then cook remaining. In small bowl mix together shredded radish, sour cream and horseradish. Season with salt and pepper. What size cans of salmon? 7.5oz or 3.75oz? 7.5 oz- it has been corrected in the recipe. Thanks! Just ordered some of your canned pink salmon. Are the shrimp in the recipe raw or pre cooked? The best place to buy from? I live on the west coast and here we have readily available pre-cooked little Oregon pink shrimp. They are not especially expensive, and I find them to be delicious. I always go for wild shrimp, of course.